It is with great sorrow that I post this notice. 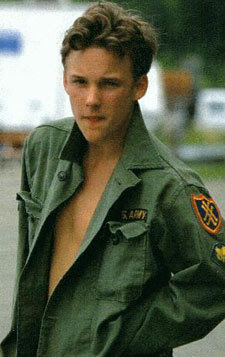 US actor Brad Renfro has been found dead in his home at the age of 25. Renfro, who won acclaim for his childhood role in The Client, had struggled with drugs and alcohol for several years. The cause of death was not immediately determined, but a post-mortem examination was due to be conducted. Renfro had reportedly been drinking with friends the evening before his death, according to an investigator for the Los Angeles County coroner's office. Renfro's lawyer, Richard Kaplan, said he did not know whether the death was connected to any problems with addiction. "He was working hard on his sobriety," Mr Kaplan said. "He was doing well. He was a nice person." Brad Renfro, an actor best known for his roles in the movies "The Client" and "Ghost World," was found dead Tuesday, the Los Angeles Police Department said. Renfro's body was found in his Wilshire-area home in the 1000 block of South Ogden Drive by his girlfriend, authorities said. Renfro, who had a history of drug abuse, was declared dead by paramedics at 9 a.m., according to coroner's spokesman Ed Winter. The cause of death had yet to be determined, he said. "There is no suspicion of foul play," LAPD Lt. David Evans said. TMZ has learned actor Brad Renfro is dead. The 25-year-old actor was found dead at his Los Angeles home this morning. The cause of death has not been determined, however, Renfro had a history of drug abuse. Sources tell us Renfro, who had starring roles in "The Client" and "Apt Pupil" had been working valiantly to stay clean, especially since this summer. Renfro had been convicted of several drug offenses, including attempted heroin possession. "I had the pleasure of working with Brad when he was eleven in THE CLIENT. It was obvious to everyone that he was the sweetest, most incredibly gifted young actor to come along for some time. My heart goes out to the family for their tragic loss." 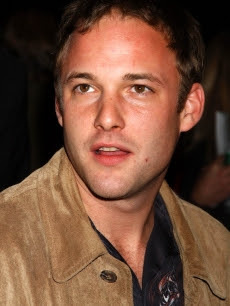 The Los Angeles County Coroner has ruled that actor Brad Renfro died from an accidental heroin overdose. An autopsy concluded Renfro died from “acute heroin/morphine intoxication.” The coroner’s report also indicated the drugs were injected. “The final manner of death has been ruled an accident,” the report concluded. Renfro, 25, was found dead in his Los Angeles home on Jan. 15. Brad Renfro's girlfriend told a 911 operator that she thought the 25-year-old actor "might have taken a couple pills," according to a recording of the call released Wednesday. The woman, who found his body on Jan. 15, tells the operator: "We're not sure if he's breathing or not. His nose is bleeding. ... We can't tell if he's breathing."